I recently designed some tour pieces for Laura Burhenn of The Mynabirds. Read more about that here. In support of the "Generals" tour, I made some limited edition Mynabirds headbands that are available exclusively at the merch table each night of shows. 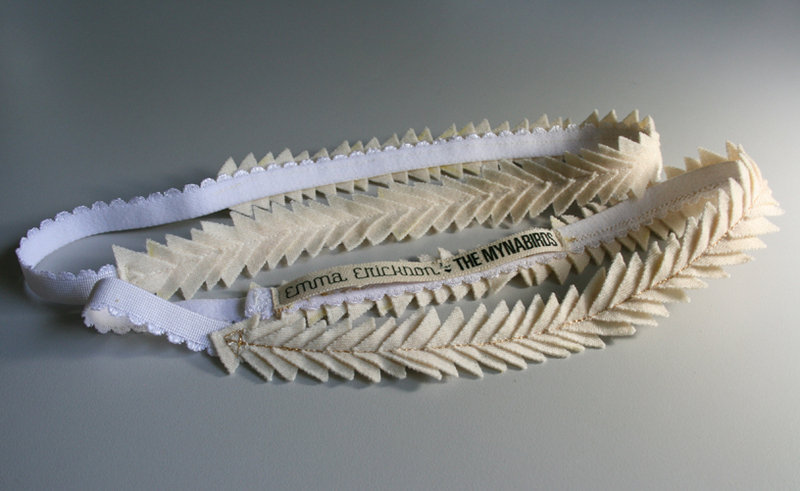 These headbands are made out of 100% double knit wool hand-cut chevrons. They are currently available in Natural and Burnt Yellow. 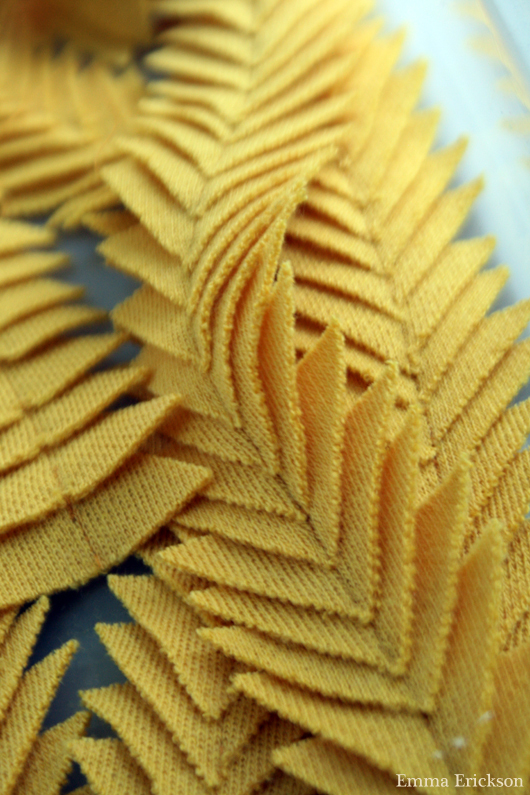 The elastic is knitted with a scallop edge and plush back. 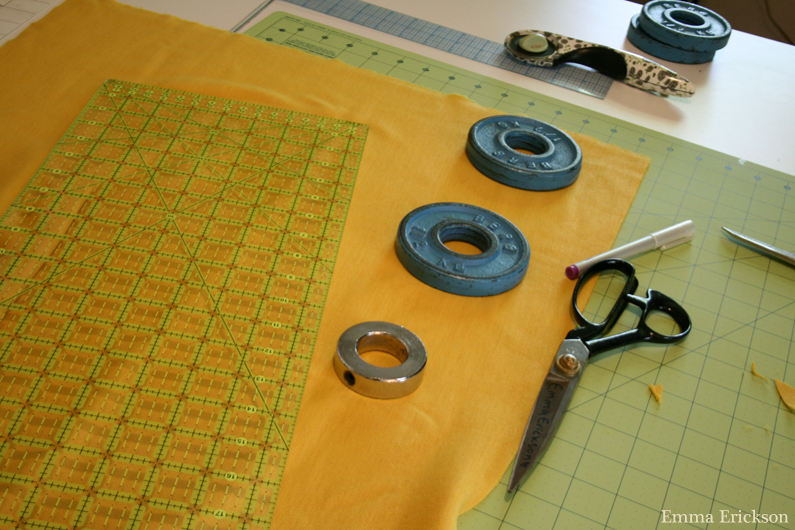 Some feature metallic gold top stitching--this style is especially limited because the metallic thread is tricky to sew with. 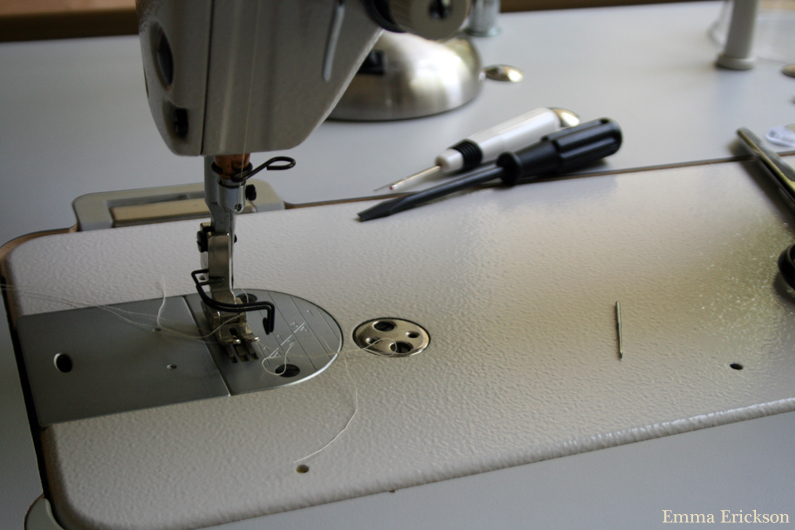 The edges are treated with a sealer to help prevent fraying. 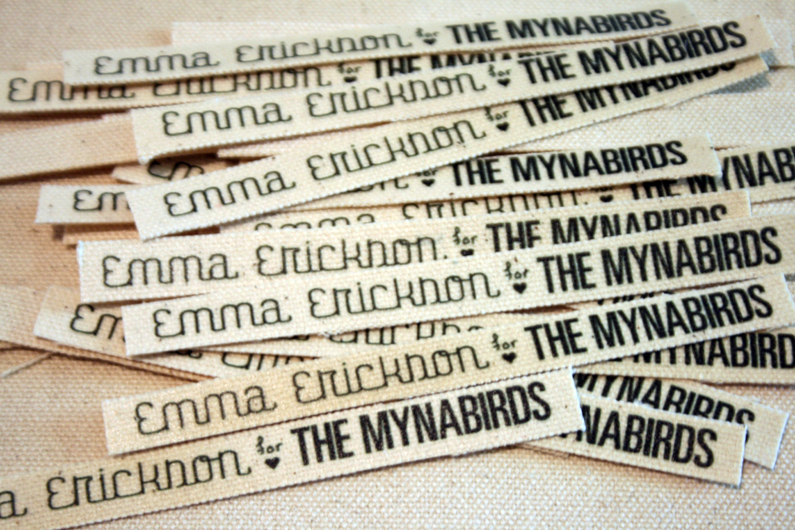 Each headband features a special "Emma Erickson for <3 The Mynabirds" canvas lablel. They will run you $20. 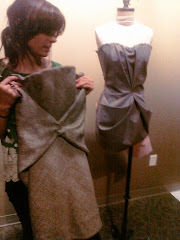 When chevron headband premiered at Omaha Fashion Week March 2012. Check for your city's tour date here. !!! If you buy a headband and would like to share a photo of how you style your headband on this blog, email me at ericksonemma@hotmail.com.